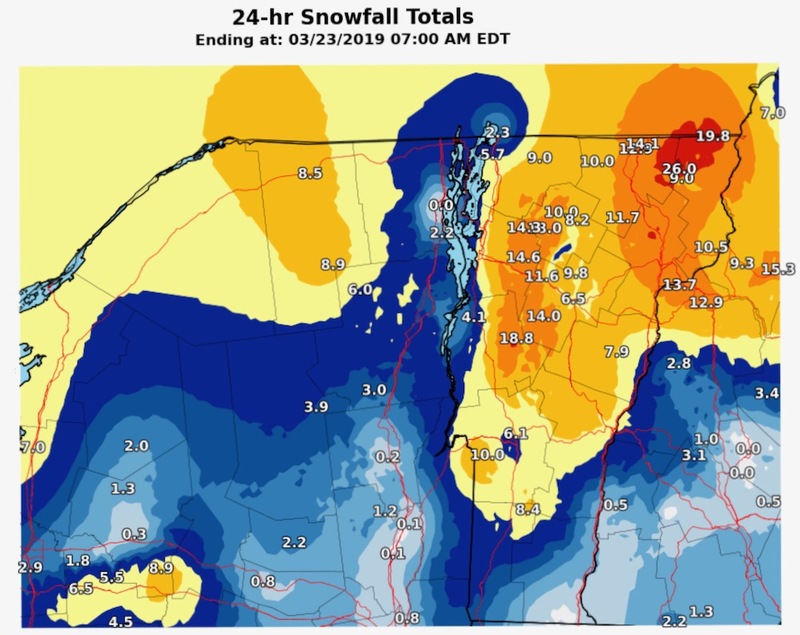 The storm was progged to be elevation dependent with Northern Vermont and Whiteface slated for the jackpot, Gore and Magic on the edge and the Catskills looking at rain to start, followed by backside snow. To a large degree the forecast came to pass, except that somehow the western Cats stayed cold enough to capitalize on upper-level instability and the flow off the lake. By Saturday morning more than a foot and a half of snow had fallen. 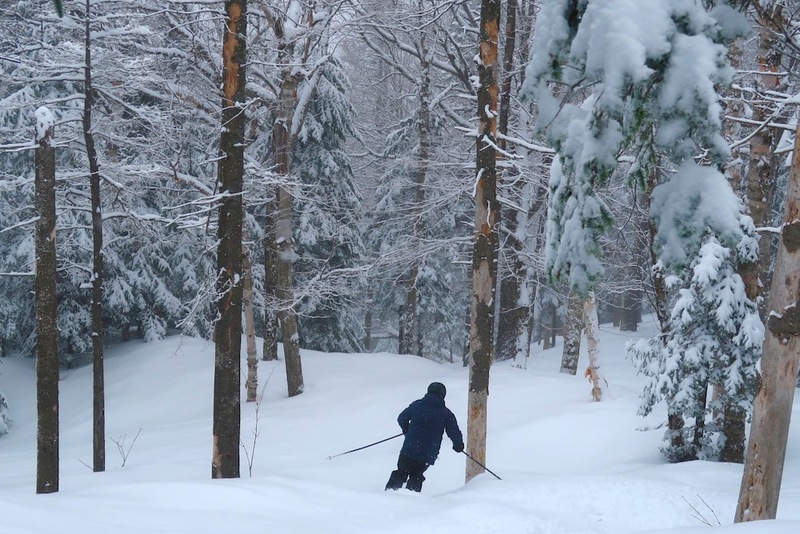 By all reports, both Friday and Saturday were big powder days at both Plattekill and Belleayre. Too smart for my own good, I found a way to get a day off work, and drove up late Thursday to set myself up for storm skiing at Gore on Friday. By the time I arrived I knew that things were trending colder for the Catskills. I was tired from the drive, it was snowing steady at our place at 1900 feet. I decided to stay put and stick to my original plan. 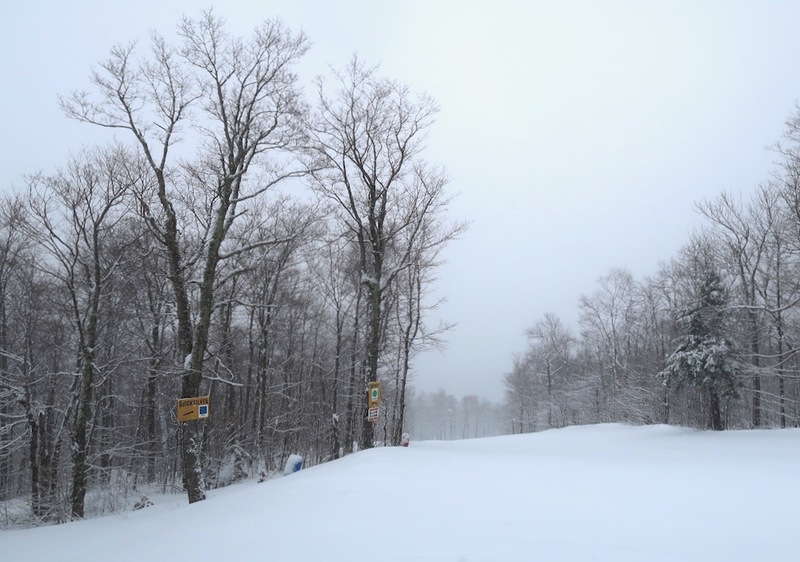 On Friday morning there were a few inches down at opening and it was snowing at a good clip. The storm was advertised as elevation dependent and my goal was to get up top. Fortunately I ran into Newman! and Linda, and we skied together all morning. After a lap on the front side we headed toward the summit and began diving into every tree shot we could find: KillKare, Straightbrook, Mineshaft, Upper Darby, Nugget. 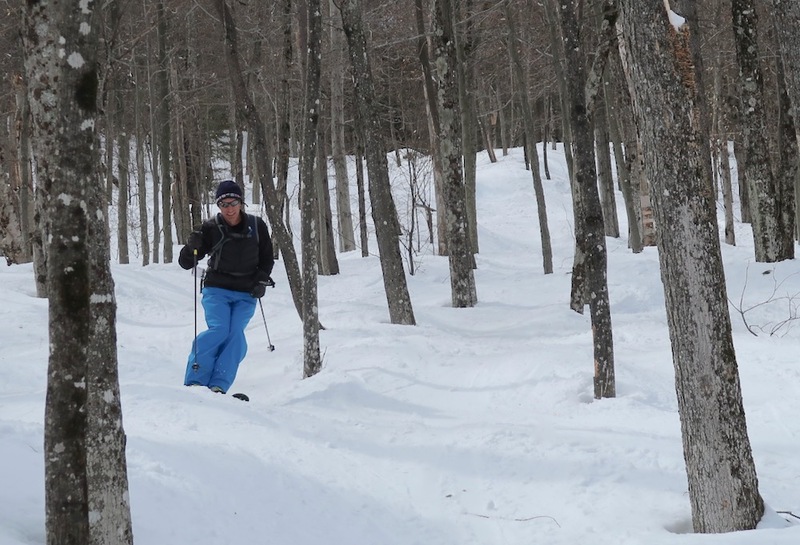 It wasn’t super deep, but every glade was untracked, with the exception of the Tawahas Trees where we came across our own tracks as we lapped it several times. 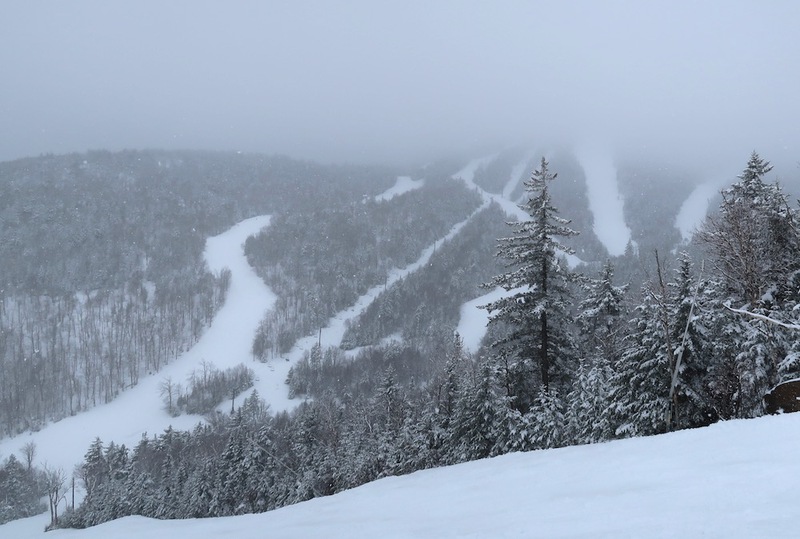 The High Peaks chair didn’t spin during the storm, which limited our time on the Dark Side. Runs there required a return to the base and we discovered in the afternoon that it was sprinkling below about 2000 feet. On our final run up top, we closed it out with a supreme trip through KHS. I got back to the cabin and checked the radar. 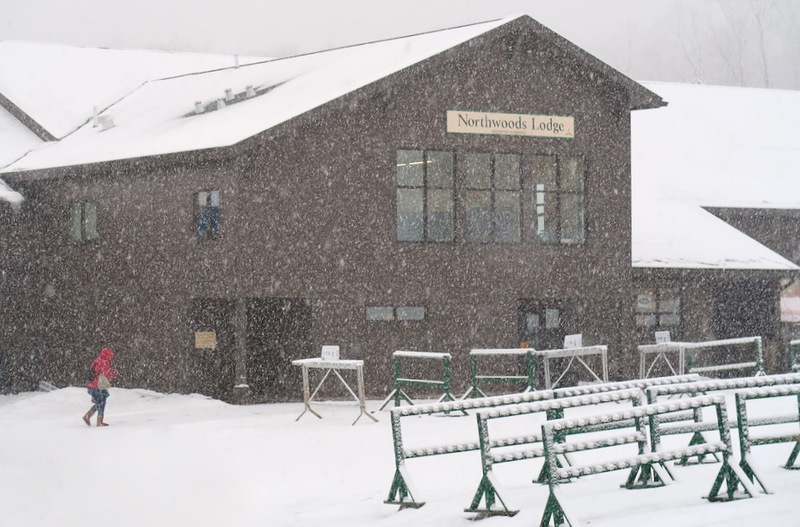 While things were clearly winding down at Gore, it was still snowing steadily in the Catskills and reports from Plattekill were off the hook. Comparing a foot and a half of snow and an active radar signature to the six inches around me, I knew that heading back to the south was probably my best call. But I was still tired and decided to stay put. I went to Garnet Hill for dinner then and slept like a baby. It’s the first time I can remember choosing prudence over the best snow. 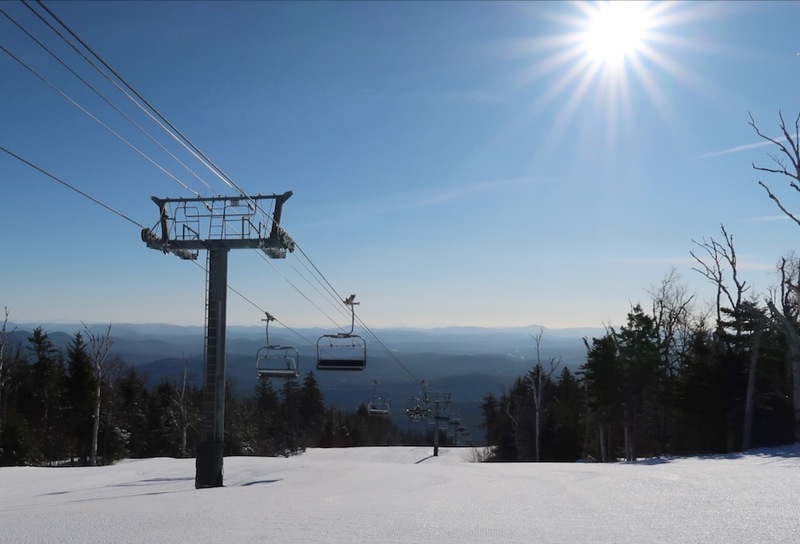 On Saturday, the Gondola was on windhold and the most desirable snow was out of the reach of a running lift as the High Peaks chair was down again. On Friday, I’d assumed it was a midweek lift closure, but when it didn’t spin on the weekend I knew something was up. After challenging runs in Tahawas and Twister Glades and headed back to the cabin to ski in our woods and sleep some more. On Sunday across the northeast, the forecast high was well above freezing. I’d thought that the mixed precip that fell at Gore might actually improve the snow’s skiability at 40 degrees and opted to sleep in again, stay in North Creek and ski the lower elevation trees on Burnt Ridge. I started at the Ski Bowl. I quickly found Suds, and we worked our way up as it got warmer and conditions softened. By carefully judging our ascent we were able to avoid any real stickiness. Up to Burnt Ridge for multiple laps, then the North and onto the Straightbrook side. The skiing was good at the top, but after three days I felt the call of the road. Down through Dark Side, and back to Burnt Ridge for two more Barkeaters before I called it quits. The weekend wasn’t epic, but it was very good and I made the best of it. By Sunday evening on the ride home I was singing it: Love the one you’re with. Thanks for the nice glades shots. Of all the Gore glades, which do you think are the most wide open? 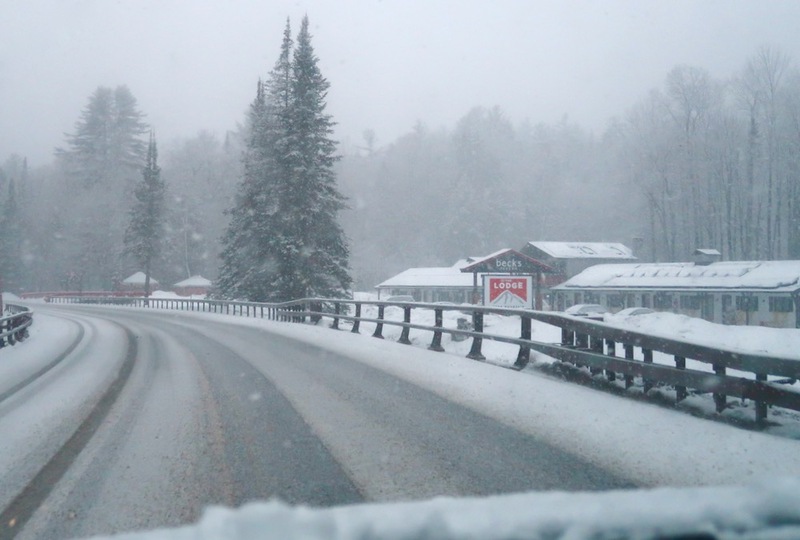 I also thought the Catskills was a better choice for more snow, but with a reserved Hotel room and a son that wanted to ski Gore not the Cats up we came. Straightbrook trails all skied the best for us than they have in our 8 previous days at Gore this season. Sons tore thru the Burnt Ridge glades most of the morning. I lapped the shorter one once but I lack a quick turn to keep up and they wanted to get laps in. Do we know each other? We seem to be in the same place at the same time. I could have written this article based on my own experiences on the mtn. Carv-R… hard to say which are most widely spaced. If you are looking for a glade to learn in try Tahawas, good spacing and gentle pitch. Also the snow is well preserved there by aspect and access. I thought I saw you Gunny! Yeah Harv, great post! Go get some! Prospect was awesome on Saturday. Not only xc, guys were showing up with tele skis and climbing skins! Thx, Harv. I discovered the Tawahus glades a couple of weeks ago and was pleasantly surprised. I’ve stumbled through most all of them this year (keep hands forward; hands forward, dammit) it’s not a pretty sight. The ones I haven’t skied are the ones over at the Ski Bowl. They’ve been closed when I’ve been available. I haven’t been in Ski Bowl this year either. 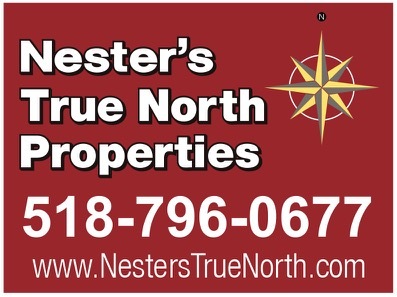 I don’t think they were attended to over the summer, I heard it was tough sledding in there. I’m curious about what glades you like. 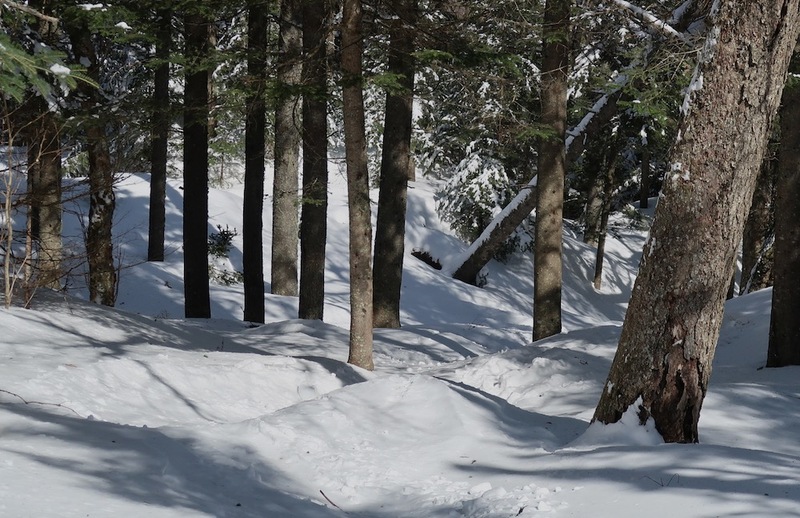 One characteristic of many of Gore’s glades… the exit or the bottom is often the toughest part. We missed you, Harvey, but you made the right call. Nice report, Harv! There is always something to be said for having a very good, quality weekend at the home mountain. In these days of instant gratification, it’s nice to just be “home” and to realize that one doesn’t always need epic to have a great experience. Also, I bet you enjoyed not having a 3 hour drive each day of the weekend! Oh and just as a follow up to a question from a past post, there were no Tele-skiers in Banff, the few I saw were from the east, NY mostly!